EPDM, Viton or Buna-N Gaskets – What’s in a name? When purchasing a Bolted Steel Tank from Superior Tank, customers have several choices of gaskets. 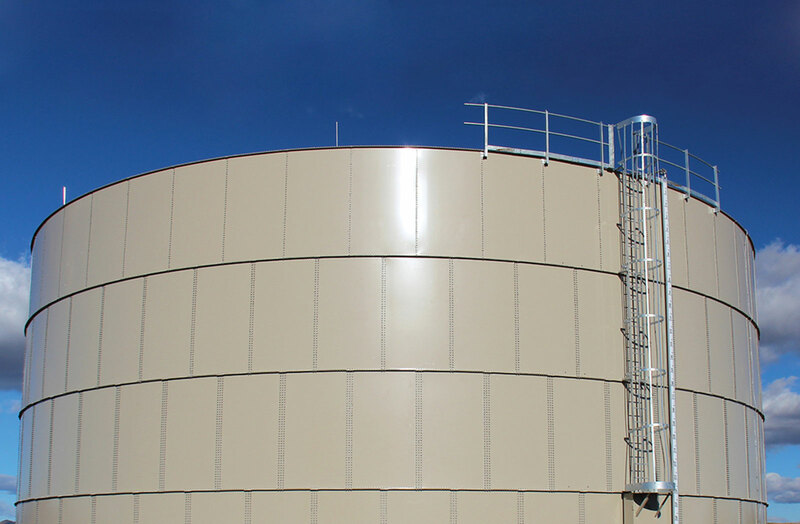 We offer three different premium gasket materials for our steel storage tanks: EPDM, Viton or Buna-N. Selecting the proper gasket material can make a significant difference in the lifespan of the tank. EPDM (ethylene-propylene-diene-monomer) is a specially designed synthetic rubber for water applications. The general operating temperature for EPDM is -70 to 300 degrees Fahrenheit making it well suited to most water storage applications. In addition to outstanding water resilience, EPDM is very resistant to damage caused by heat, compression, sunlight, acetones, alkalis and ozone. However, it is not recommended for use with acids or hydrocarbons. Similar to EPDM, Viton is also an elastomer with high yield strength for outstanding durability. Viton is manufactured by DuPont and is specifically formulated for use with most hydrocarbons including corrosive liquids such as crude oil and biodiesel. However, Viton is not recommended for storage of ketones and organic acids. It is also very resistant to compression, heat, acids, alkalis, ozone, sunlight and salt solution. With this tolerance to many harsh liquids and a very wide temperature range of -15 to 400 degrees Fahrenheit, Viton can be used with almost all steel tanks and most storage applications. Viton has years of proven success in the field and provides outstanding durability. Buna-N is another option when outstanding resistance to oil, hydrocarbon and chemicals is required. Buna-N tank gaskets are comprised of a synthetic rubber copolymer and are very well suited to storage of crude oil and other petrochemicals. When storing ketones, esters and aldehydes in steel tanks, other gasket material is recommended for better longevity. Buna-N gaskets for steel tanks can withstand lower temperatures ranging from -40 to +212 degrees Fahrenheit. We have found using a formed gasket instead of putty or mastic provides significantly better tank longevity. All gaskets used by Superior Tank are formed to a precise thickness to fit between bolted steel tank panels and remain flexible for many years. The high yield strength of the gaskets ensures they do not tear or leak when the steel expands and contracts with temperature variations. The gasket is a solid material and will not ooze or creep out of place. 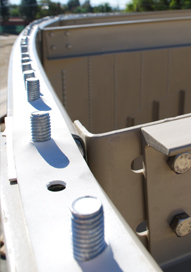 Our precision manufacturing process places bolt holes in the exact location to prevent bunching up or over stretching of the gasket resulting in leaks. In addition, bolt holes in the gasket are intentionally slightly smaller than the bolts to eliminate gaps and prevent leaks. The cost of gaskets will vary depending on the material selected and the width required by the tank design. The bolted steel tank experts at Superior Tank can provide guidance regarding the best gasket material for your application and the liquid stored. Previous Is El Nino Coming and Are You Prepared?